*The British papers are reporting that Rihanna has been left broken-hearted by her boxer­boyfriend because he has no time to be with her. 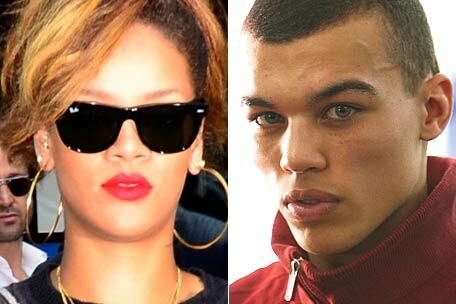 Rihanna, 23, hand-picked Dudley to star in her music video, “We Found Love,” which was filmed last month in ­Northern Ireland. Since hitting it off, the singer has taken him on a string of dates. Paps caught them spilling out of trendy ­London hotspot Mahiki on Thursday night, following her gig at the O2 Arena. Rihanna even asked him to accompany her on her UK arena tour, Loud, but Dudley says not so fast. Yo!, Yo Yo Yo Yoooooe, chick is…. CRAZY!!!! And “that’s” what EVERY dude WITH a crazy chick, says! WTFU!!! Lmbao!